On Wednesday Chilcot delivered his damning inquiry report on the Iraq war at 11am. 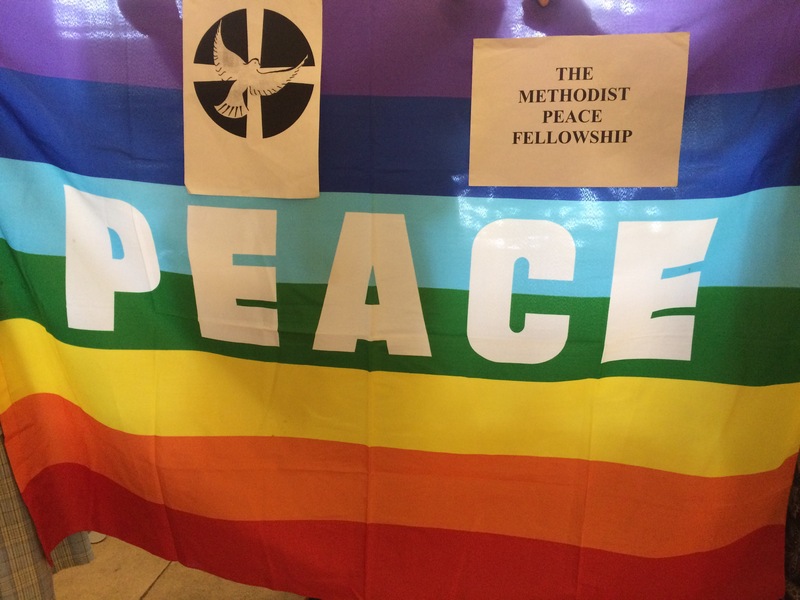 An hour before that I sat in Methodist Central Hall listening to the sound of voices communally raised in songs of praise and adoration for a God of peace, holiness and justice. As I listened to the music a strange sound began to cloak the singing. 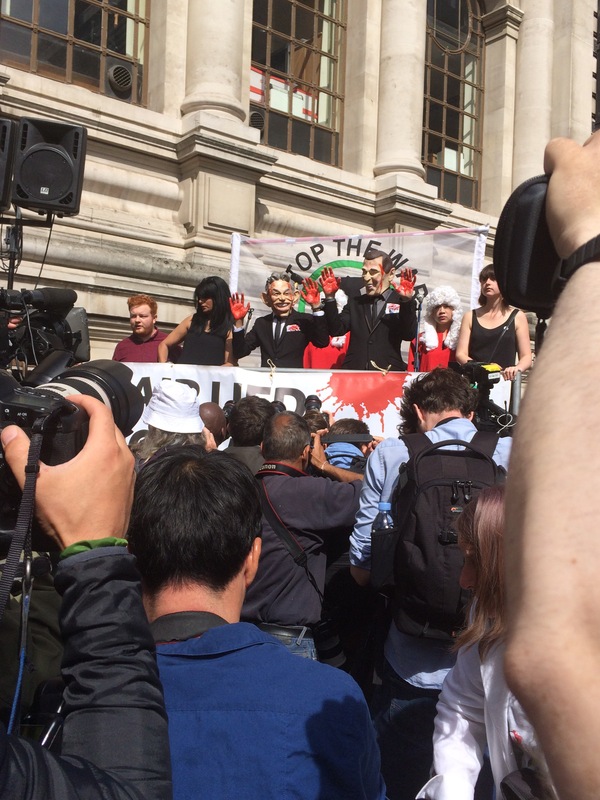 A crowd of protesters noisily gathered outside the building awaiting Chilcot’s report and their war cry was “crucify him, crucify him, crucify him”. Songs about a risen Lord against a backdrop of vitriolic protest. This strange moment in time lasted almost ten minutes. I moved to the balcony to look at the swell of activism below. I felt uncomfortable, not with the opinion of the protesters (I was not a fan of the Iraq war), but with the way they were voicing their thoughts. Hatred and anger poured from their lips. I am all for political marches but in London these past two weeks protest has spilled over into hate-filled and hateful hysteria. The extreme far left and the extreme far right lining up to shoot one another down with verbal arrows that pierce our post referendum fragile social fabric. Inside Methodist Central Hall at Methodist Conference we were given a powerful message taken straight from the book of Amos. We were to seek oceans of justice and rivers of fairness. However, outside on the streets that surround us there is tidal wave of fear. People scared of the poverty that engulfs them, the foreigner in ‘their’ land, the lack of political leadership. People scared of each other. Fear has become the order of the day and it breeds contempt. We turn on the news and we see shootings in America and the need for us all to once again ask when black lives will matter. The wars in Syria and Iraq persist. The stories of racist attacks and xenophobia in the UK being on the rise. The world looks bleak. After going outside to capture some of the anti-Blair protest on camera I returned to Central Hall and to a promotional stand I was manning (or womanning!) for the charity I work for and was treated to a wonderful conversation with a Methodist supporter about what she hoped to do in her community to reach out to refugees. Later that day I sat and listened to a fellow colleague I recently travelled to Jordan with choking back tears as she reflected on the needs of the people we met there. I then had a humbling afternoon with supporters of our charity and at the end of the day spent time with an 85 year old volunteer who still wanted to find new ways to share his desire to make the world a better place. God has not asked us to be strong and courageous. He has commanded us. And acts of love and grace now fly in the face of the acts of hatred, aggression, bitterness and revenge that seem suddenly to dominate our world. This does not contradict God’s desire for justice but it does highlight his desire for mercy and love to trump all else. Now, more than ever before, I believe we are called to action. But holy action. Acts of love and light in places of darkness. Sometimes this will require us to be boldly counter-cultural. Sometimes we will feel daunted and underprepared. But God tells us He is with us. He tells us to seek mercy as well as justice. He tells us to put aside self-importance and instead be humble and accountable to him. This is not a blog about forgiving those who led us to war in Iraq and nor is it a political call to action. Rather I have written this blog today to ask people to base their actions on love rather than fear. Fear has no place here.